trauma and accidents. However, missing a tooth or two doesn’t mean you miss out on your smile. 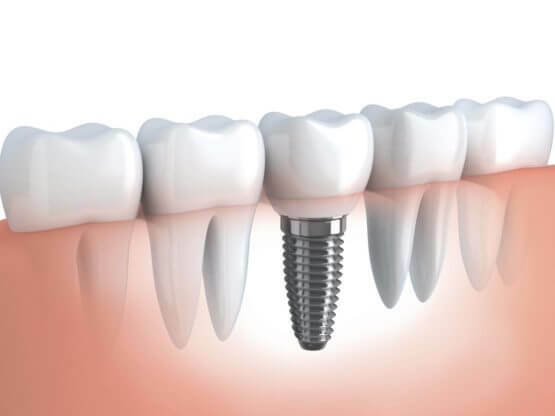 Dental implants can provide a strong foundation for teeth replacement that look, feel and function like natural teeth. Dental implants treatments offered at Esthcare Clinic to allow the individuals with missing teeth the ability to eat virtually anything and to smile with confidence. Dentists of Esthcare Clinic can help you change the way you live with dental implants, allowing you to rediscover the comfort and confidence to eat, speak, laugh and enjoy life to the fullest. We combine the latest cosmetic procedures, innovative tools and a high-tech dental lab to recreate the smile you deserve. 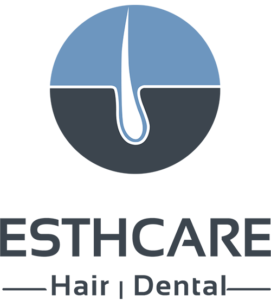 Esthcare Clinic is adequately equipped with modern implant technology which helps dental implants better integrate with the surrounding bone, offering greater stability and long-term durability. In conventional treatment method, dental implants are placed using two-stage treatments approach. The teeth implants are typically placed by an oral specialist and then covered and left for up for months to allow the bone to grow around the implant for stability. In some cases, the process may even take longer if bone grafting is required prior to implant placement. Dental experts at Esthcare Clinic perform the procedure by surgically placing the dental implants in the jawbone, where they serve as the foundation of missing teeth. Your dentist will have the crown custom-made and color-matched to harmoniously blend with the surrounding teeth. Once the crown is placed, it will provide a complementing look to the implant, appearing more natural and feeling like an original tooth. Is dental implants procedure painful ? Most people who have received dental implants treatment in Turkey report very little discomfort. Local anesthesia can be administered during the dental implants procedure at Esthcare Clinic, which eases the pain that may be involved. What are the results of dental implants ? How long do you I need to stay in Turkey for dental implants ?